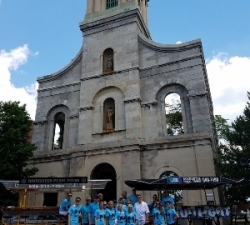 With so much history and great buildings in the area it is our duty to show it off. 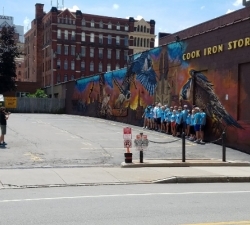 Our tours showcase the downtown area and tell you about its history and also what the future holds. 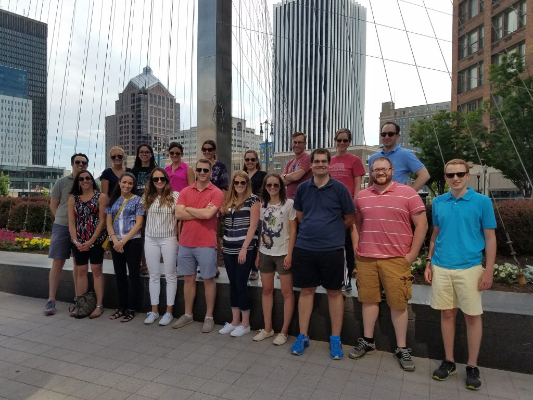 The section of downtown where our tours travel features many up and coming projects such as the Inner Loop Development and Strong Museum Expansion, Sibley Building/Parcel5-Performing Arts Center and Waters Edge Project-(where the subway entrance used to be). 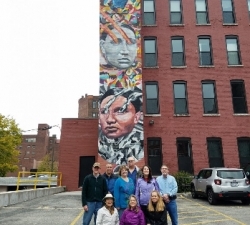 Our super knowledgeable guides will narrate your tour and teach you the history of the area, tell you stories about events that happened where we are, stop for pictures at murals and other great”kodak moment” backdrops of Rochester. 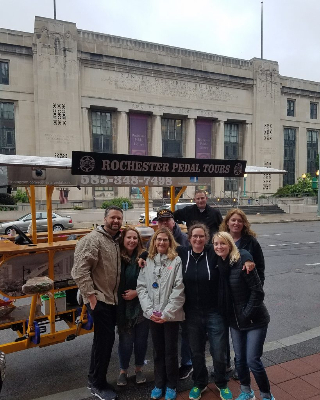 Our architecture and history tours take guests by the Sibley Building, Liberty Pole, Temple Building, Parcel 5, Rochester Savings Bank area of Midtown then to St Joseph’s Cathedral where we will walk around the inside of this urban sanctuary. 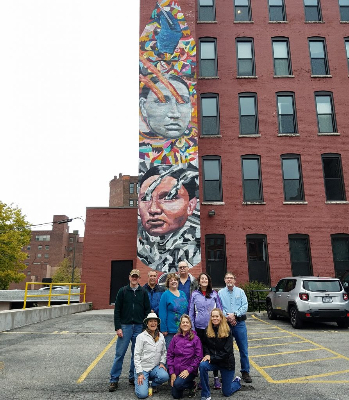 We then take you to the St Paul murals where will take some amazing photos with these murals and tell you about the Wall Therapy Project then you have the choice of making a stop at 5th Frame Brewery, Scotland Yard, Tapas 177, Dinosaur BBQ or Native Eatery and Bar. 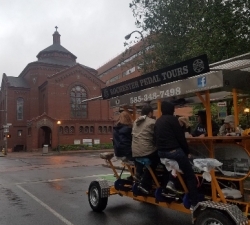 While you do not have to stop for food or drinks and can do a picnic at Washington Square Park it does work as a good halftime break to use the bathroom. 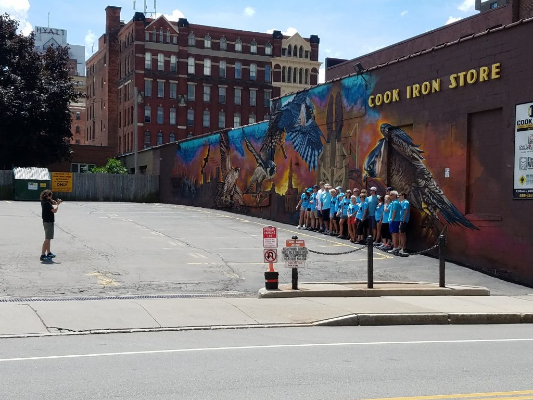 We already know once you smell the food at these places you will get hungry which is why groups order ahead and the food is just coming out as you arrive or soon after so you do not waste time waiting to order/food to arrive. 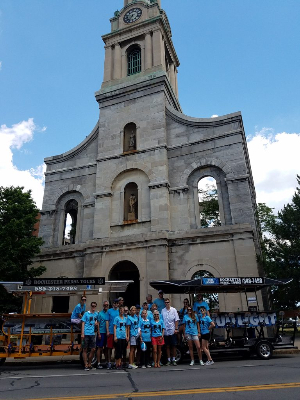 Then you will get on the bike and head to Washington Square to see the Civil War Monument and we will talk about Legacy Tower, Geva Theater, St Marys and First Universalist Church then head back to Marshall Street Bar and Grill which is where the tours begin and end. 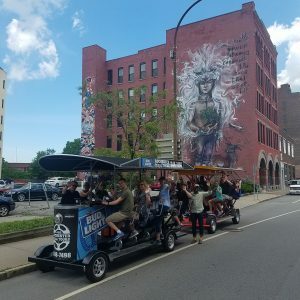 During these tours guests can have beer, wine, cider or Bud Lite A Rita type drinks as they pedal and listen to your own music playing off our speaker via its bluetooth system. 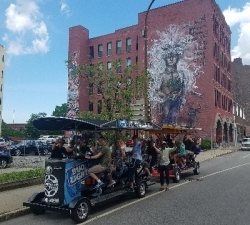 When we park at the site we are stopping at then everyone leaves their drinks on the bike and gets off to listen to the driver present. 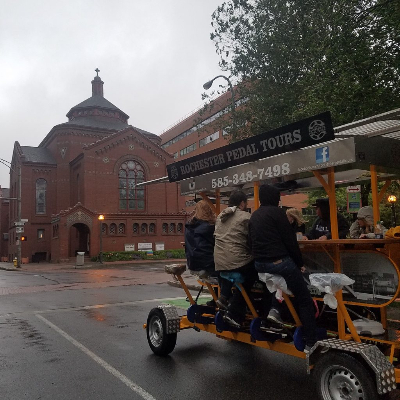 This is perfect for everyone from groups that want to go on a pedal tour and spend more time pedaling and less time in the bars, for corporate team buildings and for families (we allow minors on family architecture tours). 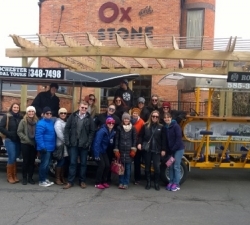 Should you have a larger office we have 4 bikes which means we can take groups of up to 54 people out at once. 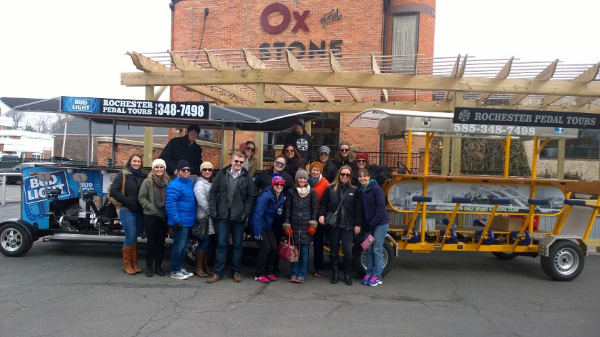 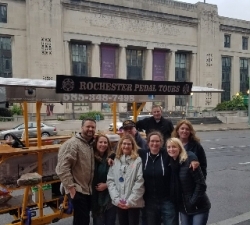 If you want to set up a private architectural tour which can take place at any time, contact us at Rochesterpedaltours@gmail.com or call us at 585-348-7498. 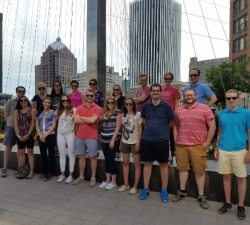 We pride ourselves on getting back to you quickly and with a detailed response.